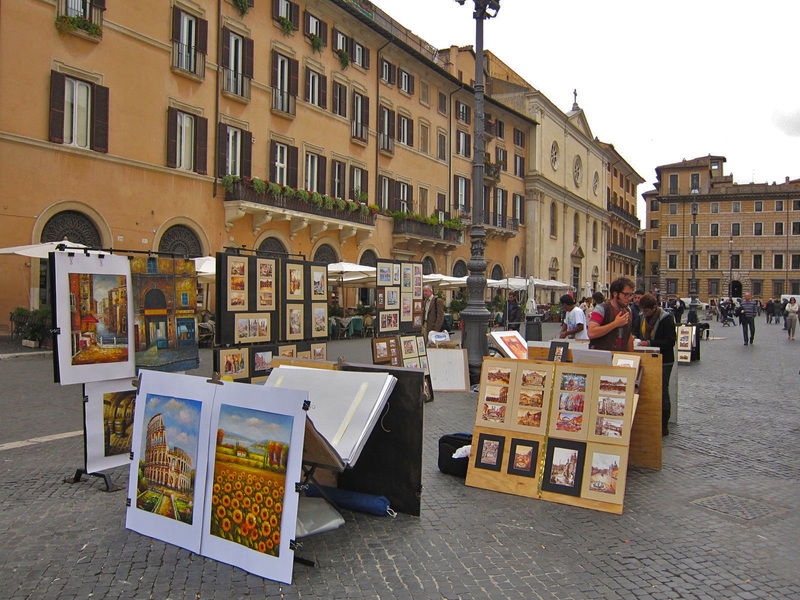 Strolling through the piazzas of Rome is an experience you don’t want to miss. These historic city squares of Rome serve as a place to meet, dine, watch people and chat. 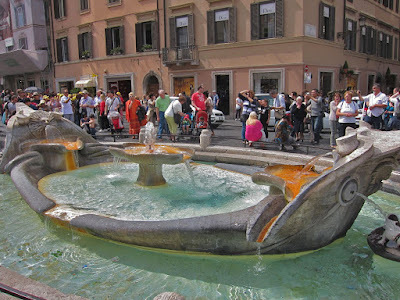 So if you truly want to ‘do as the Romans do' when in Rome, you want to indulge in this simplest of pleasures. 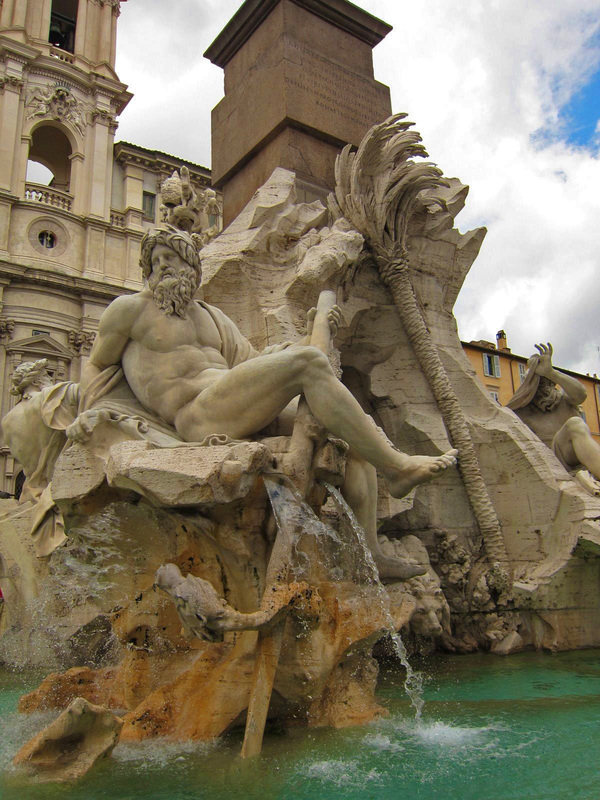 Piazza Navona is the most famous of the Roman piazzas. 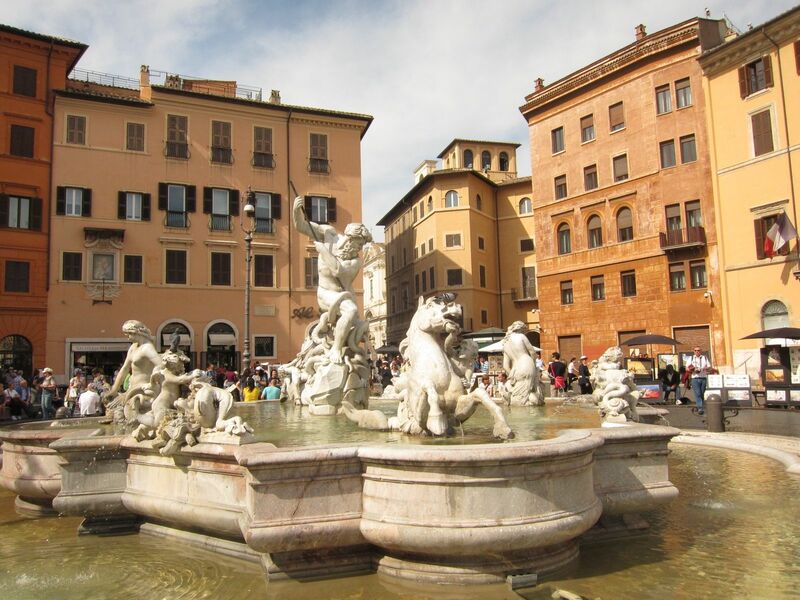 A large cobblestoned square surrounding the magnificent fountains designed by baroque sculptor Bernini, Piazza Novona has an unique charm. Scores of artists and street performers set up shop in the center, while cafes and gelateria busily attend to their customers around its perimeter. While at Piazza Navona, we took an outdoor table at Tre Scallini, the place in Rome to eat the famous Tartufo dessert, a rich handmade chocolate ice-cream truffle. 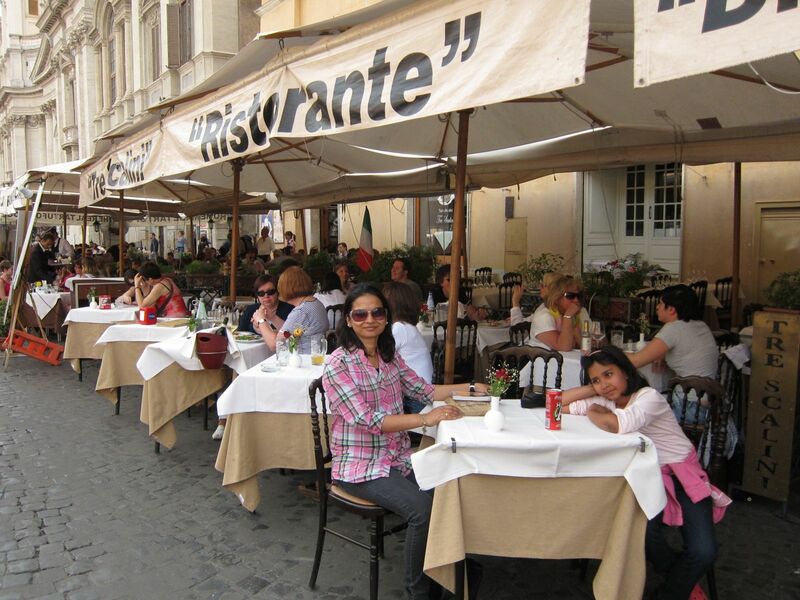 This restaurant has been serving customers since the early 19th century! 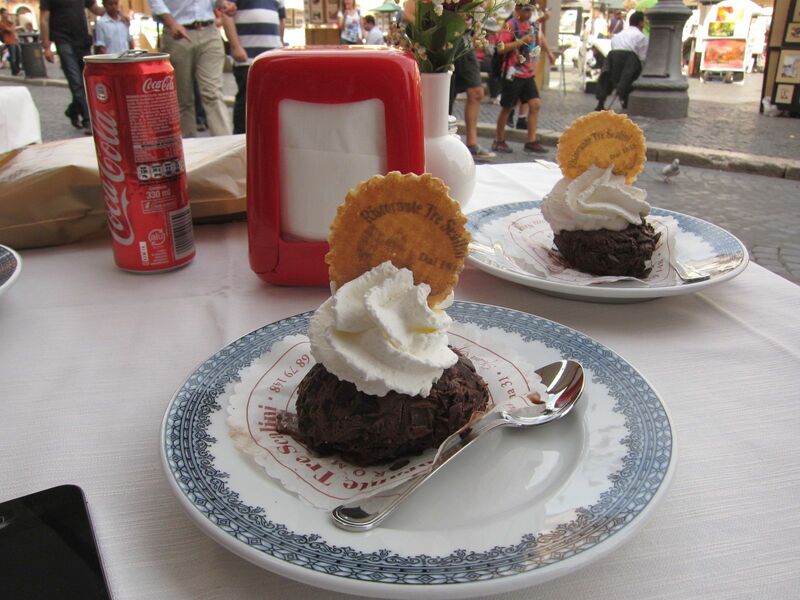 By all means try the tartufo here but avoid their gelato. 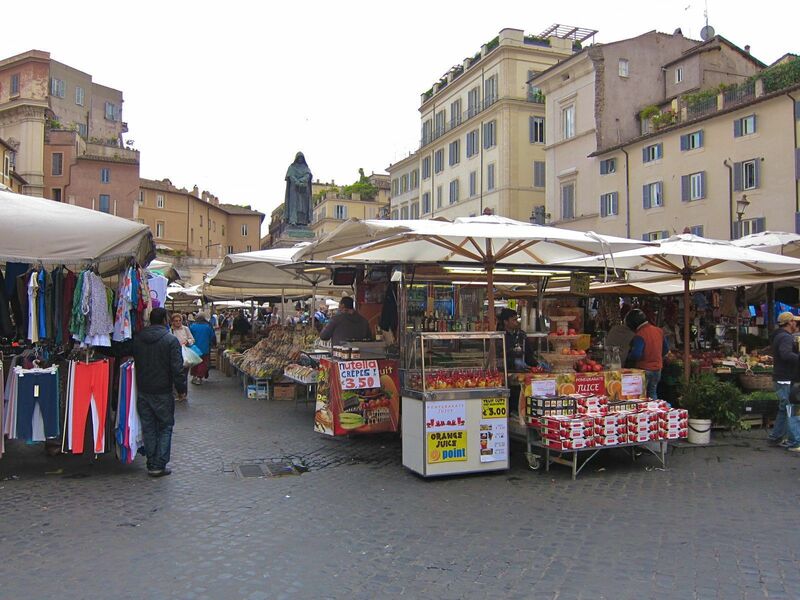 Piazza Campo de’ Fiori is another popular destination that is close by and famous for its open farmers’ market. We brought back with mushrooms, olive oil and pasta from here. 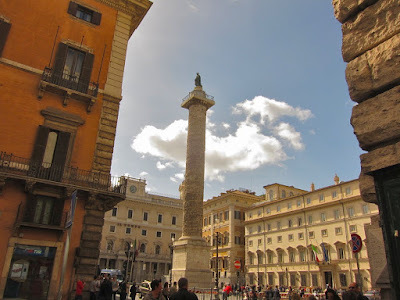 Interestingly, public executions used to be held in this square during the Roman Empire. A lovely place to sample some caffe from the sidelines and watch the hustle and bustle of the marketplace. 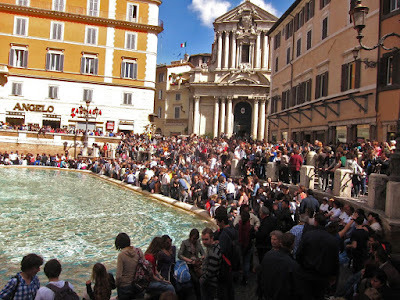 The most crowded piazza we visited was clearly the Trevi Fountain. 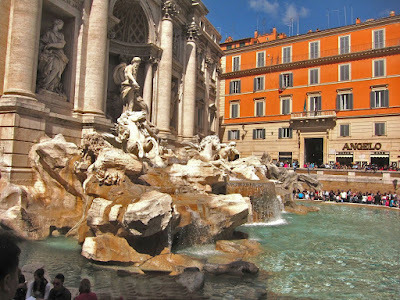 The largest baroque fountain in Rome, this piazza gets a lot of tourists. 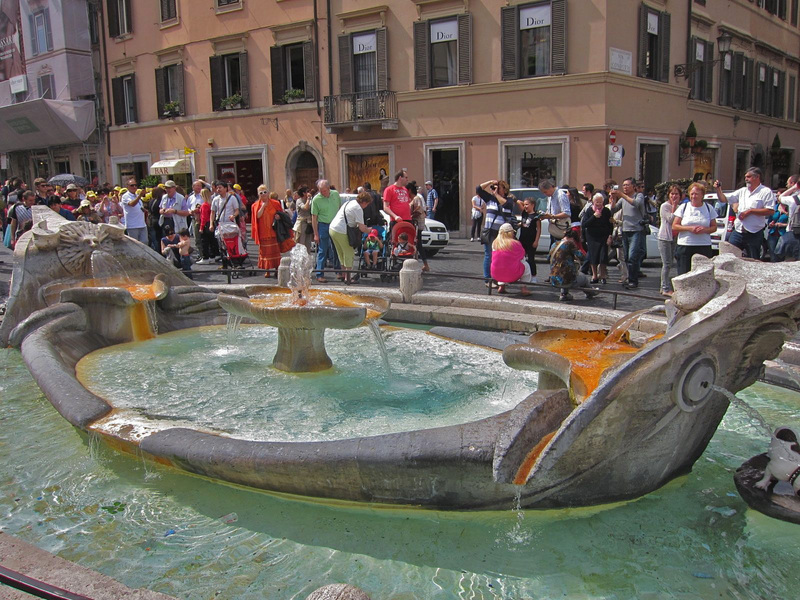 Throwing a coin into the fountain is said to make your wish come true. 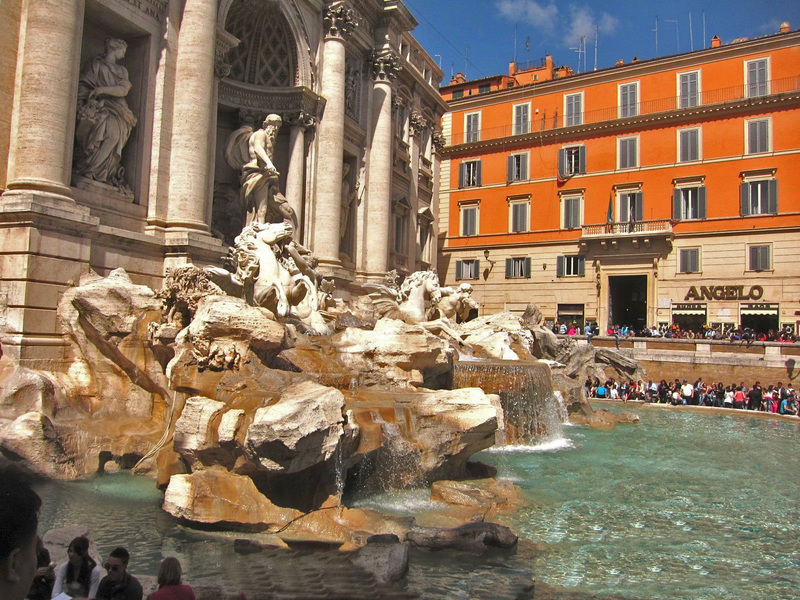 This city has had fountains for over 2000 years. Roman aqueducts fed the city’s fountains and provided drinking water to the people for a very long time. Even today, old timers prefer the water fountains that are fed from the old aqueducts to the more modern taps. The Piazza di Spagna at the foot of the Spanish Steps is another popular one. We climbed the steps which were covered with flowers in full bloom. 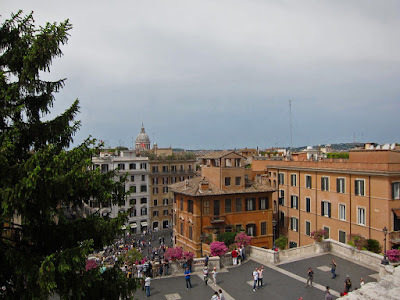 Students of English literature will be interested in the fact that poets Shelley and Keats stayed here - Keats actually died right here at the young age of 25. The Pantheon on Piazza della Rotonda is intriguing. 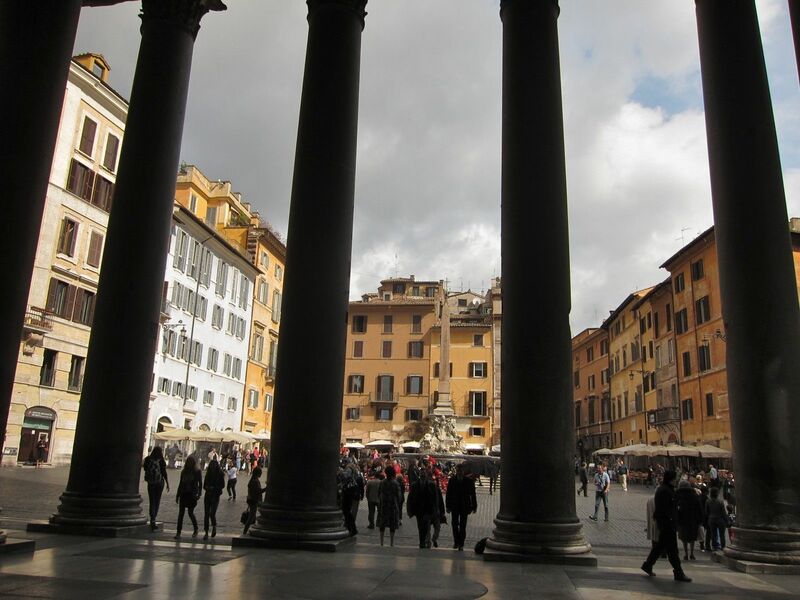 Among the best preserved old buildings of Rome, the Pantheon was a temple to the pagan Gods but was subsequently turned into a Roman Catholic church. It is especially fun to be here on a rainy day when the water spatters down from the open cupola of the Pantheon high above. There were so many more that we passed through during our long walks - some large and adorned with works of Bernini and other famous artists, other that were more modest but possessing an unique allure with their shops, cafes, trattorie and gelateria. @Manish: Good to see you here! Thank you for the kind comments.